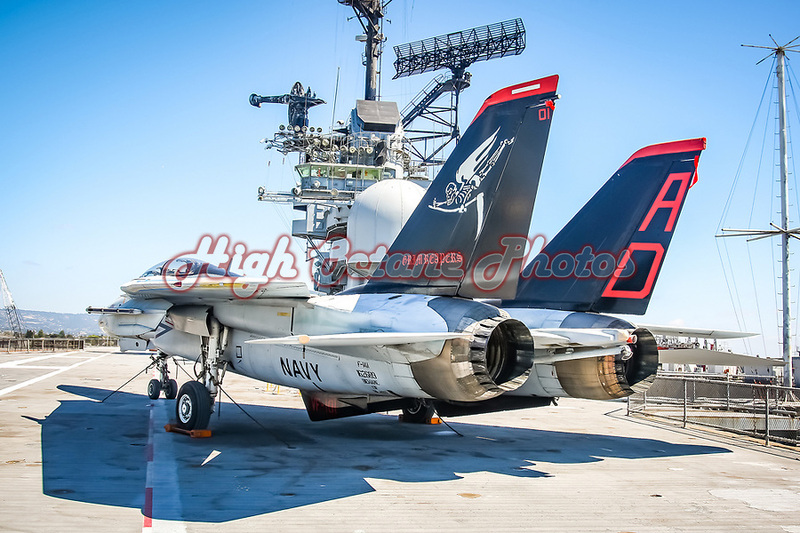 Today's Photo of the Day comes from the flight deck of the USS Hornet, a retired aircraft carrier turned floating museum at Alameda Point in Northern California. The F-14A Tomcat, build number 153879, in this shot was once a member of VF-14 and VF-41 before serving out it's days with VF-101, the Grim Reapers. As part of VF-41, this aircraft led the first strike in Iraq during 'Desert Storm', while operating from the USS Theodore Roosevelt (CVN 71). This is just one of a number of out of service aircraft preserved here, both above and below decks. If you're visiting the San Francisco / Oakland area, or just wanting more information, check out the USS Hornet's website, where you can even book an overnight stay in the original crew quarters.